Self Help Relationships Question: Which Tools May Help Me to Subdue My Ego? A Self Help Relationships Question. I am in the process of rereading ‘The Power of Now’ and ‘A New Earth,’ by Eckhart Tolle. I read both of them a few years ago and picked them up again recently. The first time I read them I was single and now I am in a relationship. 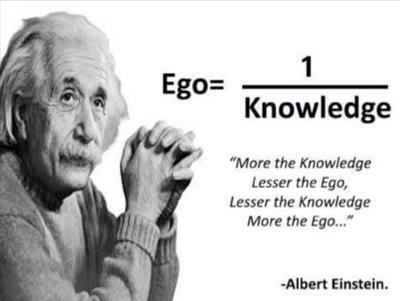 My awareness of my ego is VERY different now. My ego is extremely active, cutting and biting. It manifests as judgments towards others or the projection of others' judgments of me. It is so painful to experience because it is not who I really am. I am very conscious of its presence and I try very hard not to show any outer reaction to what is happening in my inner world. By doing this, after spending any amount of time with my boyfriend, I am completely exhausted because I have been trying so hard to "pretend" that this is not happening inside of me. The only reprieve I have is being alone. I know one of the "goals" of the ego is separation. This is really happening for me, a physical separation, because it is not active when I am alone. Do you have any insight or tools that may help? Thanks for asking this question on the personal self help page. As it’s concerning ego I moved it to this self help relationships page. I suggest you use the mind tools that I’ll outline below, in order to assist you to get a firmer grip on some of the unconscious action taking place within your mind. The first tool is a mantra. When you’re with your boyfriend, silently repeat a mantra to yourself. This will help you to remain neutral, rather than to become negative regarding any involuntary negative thoughts that arise in your mind. This mantra will help to keep you more focused in a positive state, rather than in a state of anger. This mantra will help you to stay focused in the NOW moment, rather than in the past or future. Any mantra you feel attracted to will work just as well as the two indicated above. Negative thoughts that arise within your mind will either be concerning the past or the future. And by definition, these thoughts might contain anger or anxiety, which are forms of fear. When you pay mental and emotional attention to these kinds of thoughts you risk slipping into a depressed state of not feeling good. With practice, you’ll find that you’ll be able to continually and silently repeat a mantra to yourself at the same time as interacting with others, so you’ll be able to enjoy the time with your boyfriend. The second tool is identifying and redefining your beliefs. When you’re alone, begin contemplating the kinds of thoughts that arise when you’re together with your boyfriend. Realize that you cannot have a thought and/or an emotion about anything, unless you also have a corresponding belief about that subject. Remember that thoughts and emotions do not exist independent of your beliefs. Is this belief really serving me? In that way you’ll be in a state of self-empowerment and then you can easily redefine the negative belief into a positive preferred belief. Do this process with all of the negative beliefs you find, until you’ve redefined them into beliefs you prefer. Once you’ve done this work, your ego will no longer interfere with your mind as you’ll be in a clear, positive, happy state. To recap then, the first tool is using a mantra to help you to remain neutral. Consider it as a kind of band aid to use until you’ve completed the second tool and have actually redefined your belief(s), which are the root cause of your negative thoughts and emotions. Hi friends, Great post and good website. Me and my all friends realy like it. I share your post my other friends and other peoples. Thank you This post. Hi friend, great post and a good website. My friends realy like it. I'll share your post my other friends too. Thank you for this post. I love the first tool: using a mantra to help you to remain neutral. Consider it as a kind of band aid to use until you’ve completed the second tool and have actually redefined your belief(s), which are the root cause of your negative thoughts and emotions. These thoughts might contain anger or anxiety, which are forms of fear. When you pay mental and emotional attention to these kinds of thoughts you risk slipping into a depressed state of not feeling good. Excellent and decent post. I found this very informative, as to what I was exactly searching for. It is brilliant blog. I like the way you express information to us. Hello friends, how are you - this is a great article it's so help full for me, thanks for sharing this post. I'll share this information with other people too! Yeah it's really nice to watch. This post is so interesting and good. I like this post and tattoo. Me and my friends very like tattoo. Thank you for posting. Unquestionably believe that which you said. Your favorite reason appeared to be on the web the easiest thing to be aware of. I say to you, I definitely get irked while people consider worries that they plainly do not know about. You managed to hit the nail upon the top and defined out the whole thing without having side-effects, people can take a signal. Will probably be back to get more. Thanks. I feel really very happy. It is extremely helpful for me. Excellent and decent post. I found this much informative, as to what I was exactly searching for. I have read your excellent post. This is a great job. Much obliged to you a lot in regards to furnishing such excellent information with you're new post. You're new blog is give and can be truly effective and it is exceptionally phenomenal point in light of the fact that exploration can be truly troublesome and an ordinary individual can't compose without help from experts that is the reason this is an extraordinary chance to the scholars. Iam very happy to read this article..thanks for giving us nice info. Fantastic walk-through. I appreciate this post. It contains very useful data which I need and I want to see more quality posts in this blog, so please update your blog. Thanks for sharing. Your post was good and the information that you giving your post that was really cool. I like it very much. Thanks for posting this. Please share more information and I will bookmark to my blog. Very good stuff with good ideas and concepts, lots of great information and inspiration, both of which we all need. You are doing great job by sharing. Keep it up. Excellent post. After reading this post, my request is to please share us more post in the next. Keep it up. I just want to tell you that you are the best article writer, I am very happy to see this. I'll share in on Google. Well! I don't know the answer of this question. this post contain not only one question but more than one questions I found in this post which is related to relationship. This website have a lot articles which inspired to everyone to do work self. Any how, actually, I'm looking but this is best website have inspiration related articles. I see that you are a professional in this niche, so, may I ask you do a favor for me? Could you help me place some of my ads on your site? It will be great if I could suggest some guest posts or banner ads, if it's possible - answer me here, please! I will pay for your help good money, I really love your site. Thank you! Join in and write your own page! It's easy to do. How? 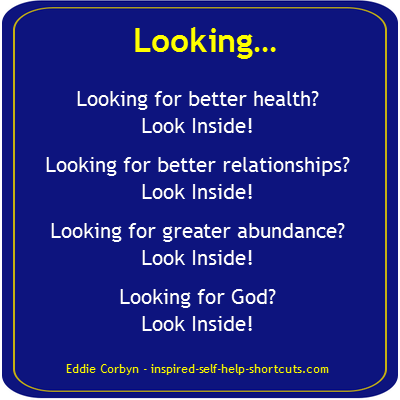 Simply click here to return to Self Help Relationships Q & A.